On May 23, Zhu Changan, General Manager of Xiangying Aviation Industry Co., Ltd., visited the delegation. Vice President Yang Xiaoguang met with Zhu Changan and his party, and held a discussion. Science and technology, aviation manufacturing engineering college, aircraft engineering college, material science and engineering college and other units on behalf of participants. At the meeting, Yang Xiaoguang briefed the basic situation of the school, the main scientific research direction and characteristics. Zhu Changan introduced the company's development process and the status quo, and to control the development of the company's related technical problems made a brief introduction, and expressed the desire to carry out school-enterprise cooperation with the school. 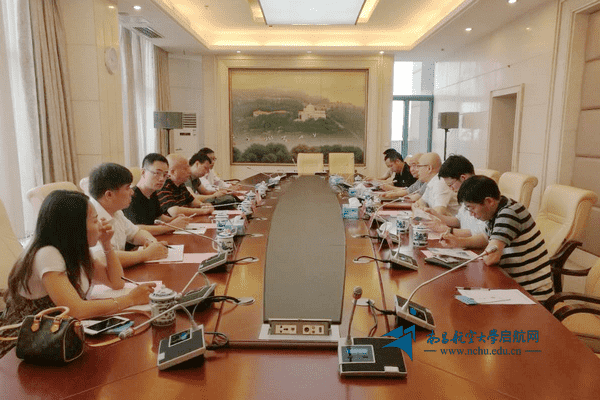 The two sides agreed that the surface treatment, mechanical processing, testing technology, navigation industry and other fields have broad cooperation space, and on the cooperation of the issues were discussed and exchanged. After the meeting, Zhu Changan and his entourage visited the school science and technology exhibition hall.